How is household water consumption connected to wastewater? How is wastewater treated in the Regional District of Nanaimo? How do I know if I'm on sewer? What levels of wastewater treatment are provided in the RDN? What laws regulate municipal wastewater treatment? Liquid waste, wastewater, and sewage are terms for "used" water and the wastes that it carries. Basically, they are terms for what is flushed down the toilet or washed down the drain. Wastewater can also include rain water, groundwater or snow melt (inflow and infiltration) that make their way into sanitary wastewater pipes. The majority of wastewater in the RDN comes from residential water use. By conserving water at home, we can reduce the cost to treat wastewater. The majority of wastewater in the RDN is treated by public wastewater (sewer) systems or privately-owned onsite systems (such as septic systems). A small number of properties are authorized by Island Health (VIHA) to use pump and haul services. Typically, pump and haul services are used by properties with failing onsite systems or by those who cannot connect to public wastewater systems and are unable to obtain Ministry of Health approval for a conventional septic disposal system. If you benefit from sewer services, your property tax and/or utility bill will include a charge for this service. 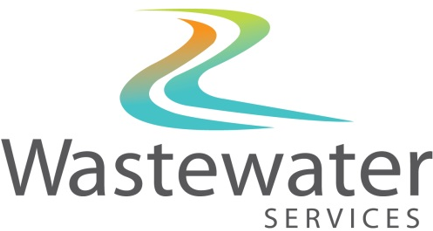 Most people living within Nanaimo, Lantzville, Parksville, Qualicum Beach and French Creek receive sewer services. However, some properties within municipal boundaries have a private onsite (septic) system and some people in the Electoral Areas have sewer. All facilities provide preliminary and at least primary treatment (GNPCC and NBPCC provide chemically-enhanced primary treatment). FCPCC provides secondary treatment and DPPCC provide secondary treatment with UV disinfection. More information on the different treatment levels is provided here. Municipal wastewater treatment is governed by the provincial Municipal Wastewater Regulation and federal Wastewater Systems Effluent Regulations. These regulations include mandatory minimum effluent quality standards that can be achieved through secondary wastewater treatment or better. They also include requirements for monitoring, record-keeping, reporting and toxicity testing.